Description: Show your Epicurean Edge pride! Our brown leather key fobs are handmade in the USA from premium USA tanned leather. 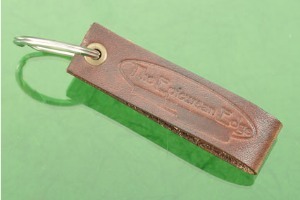 The leather pull holds a 1 inch diameter stainless steel key ring. 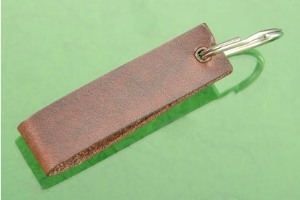 Available in brown and black leather. 0.14013671875 0.03125 140.13671875 31.25 Trailer Started. 0.26513671875 0.125 265.13671875 125 Trailer Completed.